What is so thrilling about social enterprises that is driving growing awareness among the top business and entrepreneurship communities worldwide? Why are they particularly pertinent for Colombia today? Let´s begin by describing what a social enterprise is. Many still do not know. A social enterprise can be the result of an altruistic vision; however, it is not charity, is not a standalone donation for a social purpose, is not a non-profit foundation, and it is not corporate social responsibility. Quite the opposite, social enterprises are created to disrupt the traditional donor-beneficiary relationship and to create a space where the private sector takes a leading role in tackling social challenges which used to be thought the concern of Governments and cooperation agencies only. A social enterprise is a business. It offers a product or service, it typically has an attractive an innovative value proposition for the market, is has competitive advantages, and it clearly defines a game changing business model which paves its way towards financial sustainability. Aside from being a business, a social enterprise must have a social impact thesis embedded in its operation. The latter is what makes these organizations particularly interesting and promising for future abundance. Enabling low income communities to have broader access to basic services such as water and sanitation, energy, or health. Equipping smallholder farmers with technical expertise and infrastructure to better produce and market their production along the value chain. Opening the formal labor market to former members of illegal groups. Providing larger access to financial services in rural communities. Fostering women inclusion in the formal economy. Promoting broader access to technology and education to low income youth. While each impact thesis is deployed in a sector of the real economy, its long-term results go beyond the benefit driven by the business itself. Their ultimate goal is to contribute to a more abundant society either by reducing poverty, by promoting gender and economic equality, or by fostering social inclusion and environmental sustainability. The pursuit of profit in a social enterprise will always function in tandem with its social progress vision. This distinctive combination of principles makes these companies commendable and worthy of our interest, particularly in Colombia. In our country, these companies are playing a critical role in shaping the new societal context we require to build enduring stability and peace. Edupol is taking tertiary education programs from recognized universities in Colombia to remote communities using a poli-modal education methodology. It also serves in urban hubs. Their programs fees are proven to be affordable to low income communities which would never be able to attend a regular university otherwise. Algramo takes daily consumption goods such as rise or lentils in bulk from the producing companies directly to the mum&pop shops. Products are sold in recyclable containers through vending machines located in the shops. Due to the economies of scale achieved, Algramo is allowing the mum&pop owners to have higher margins on their sales while the end consumers pay lower prices for their food, thus having immediate impact on the disposable income of low income households. Gigante Central Wetmill is a company led by a smallholder coffee farmers´ association. This company offers a coffee post-harvest service to the smallholder farmers. The post-harvest processing is conducted with state of the art equipment therefore improving the coffee quality and securing premium prices to the farmer. With this operation, the company enables the sourcing communities to reap a fair price for their production and have more stable incomes. These companies, which are just a few examples of a growing number of social ventures, are building successful business cases in the education, retail and agriculture industries. While improving education and income, these businesses are equipping individuals in rural Colombia and low income communities to open their way upwards in the social ladder, having more control of the course of their lives and the new generations they bring along. 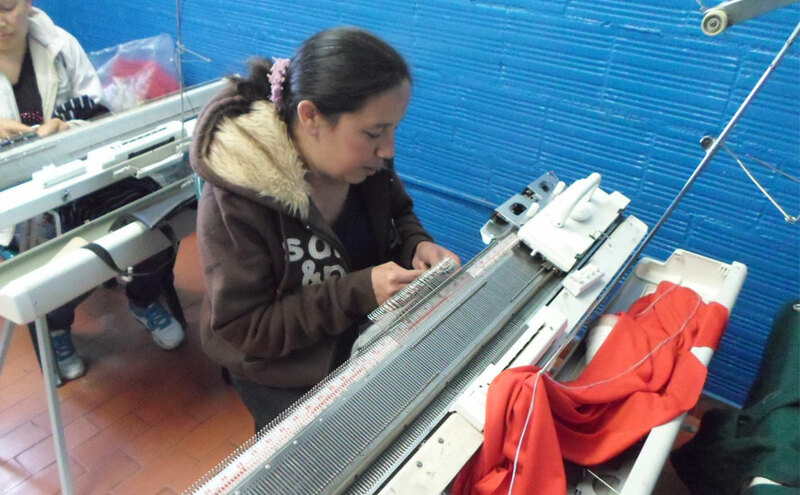 Those social enterprises having an impact in rural areas in Colombia, are strengthening trust and helping rebuild the social fabric acutely affected by the armed conflict. These companies are demonstrating that there is a way to build a decent livelihood away from illegality. In most cases, they do all this by building partnerships with social organizations and the public sector. It is worth pointing out that these are partnerships that matter because they are effective and accountable. A social enterprise cannot take the luxury of investing resources in building partnerships unless these effectively leverage their mission and business. In sum, social enterprises are platforms that bring about sustainable changes for greater abundance. They lend themselves to help rebuild afflicted countries, to transform communities´ cultures for good, and to inspire transformative and courageous entrepreneurs to develop the best in them. We need all this in Colombia. For if we want to succeed as a prosperous and peaceful nation, the private sector and everyone, individually, must take an active role. Any of us can decide to either engage, in some way, a social enterprise in operation, support a social venture aiming to enter the market and scale or create a new venture. Human psyche may pull us away from the intent. Nonetheless, our stubbornness is likely to succeed if we keep in mind that this is a mean for us to bridge the way towards a blooming society in Colombia. Searching for a social enterprise to engage is not a whimsical invitation. Is a concrete path to become a vehicle for betterment.